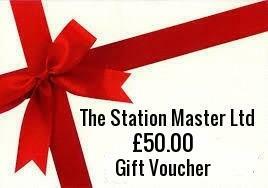 Gift Vouchers ordered through our Website will be delivered automatically by electronic means to the email address you specify at the time of order. Our Gift Certificates include unique numbers and configurable patterns. Your Email confirmation is your receipt of you voucher. Vouchers are valid for a year from purchase. The gift voucher expiration date is 1 year from the date of purchase, your email confirmation order date after this date they can not be used and have a nil value. If an intended purchase is for a higher amount than the face value of the voucher(s), the difference can be made up with a the extra payment. Payable by all our acceptable payment methods. Your order Reference number is to be emailed or sent or quoted when you wish to redeem your voucher. Your voucher amount will be ducted from your final invoice amount when sent. All Gift vouchers are valid across all of our items available all subject to being in stock. All vouchers order unique reference numbers are also kept on our computer system & file system. Many thanks from all of us from The Station Master Limited.